Learn how to leave a job without burning bridges by following these simple tips. Finding a new job when you’re already employed can be difficult and uncomfortable. 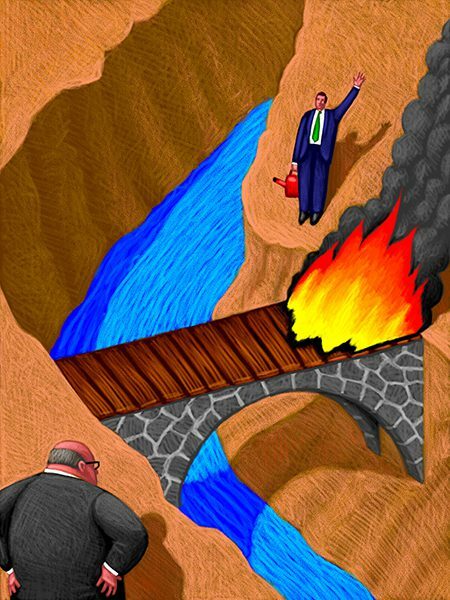 Whether you’re leaving because you hate your boss or because you found an excellent opportunity to grow yourself, it’s important to remember the age old saying: Don’t burn your bridges. 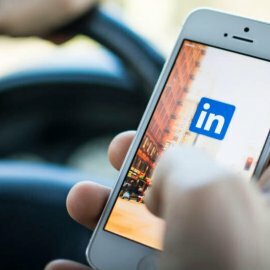 I’ve worked as a recruiter for the last 9 years. That means I’ve been the “other employer” hundreds of times. I’ve coached many of my new hires through leaving their previous employer with integrity, and today I’m going to share those tips with you. For starters, when it comes to setting up interviews, try your best to work around your current hours so you don’t have to call off. Can you come in early for the interview? Can you meet during lunch? It’s definitely best to try to find an alternative time to meet before you call in sick. Now, once you secure an offer and you’ve decided you are definitely leaving, you’ll need to give an official notice. Typically speaking, this should be at least two weeks but could be up to three or four weeks, depending on the situation. As a recruiter, I wouldn’t recommend more than three weeks or so. While you may still have a few loose ends to tie up at your old job, your new employer probably wants to get you trained and adding value as soon as possible. You’ll need to provide a written resignation letter for your boss, but make sure you give it to him in person. In the letter, you should let them know when your last day will be, and—even if you hated your job, for the sake of not burning bridges THANK THEM. Whether or not you enjoyed your time there, you were able to grow and learn more from the opportunity. From there, it’s time to start moving on. Stay productive as you work out your last two weeks and be sure anyone who is taking on your work is prepared to do so. And then, after your notice period, you’ll start your new job and hopefully, you’ll love it. As you get settled in to the new position, you should continue any friendships and relationships from your former job. Be sure to keep a positive relationship with your old boss and absolutely don’t talk badly about them or the company. After all, the point of this whole “don’t burn your bridges” thing is that you never know when you’ll need someone’s help down the road.